Record and monitor the video feeds from up to eight HD-CVI or SD analog cameras with the DHI-MCVR6208-G Mobile DVR from Dahua Technology at resolutions up to 1080p. Designed for use by transit agencies, this mobile DVR operates across various transportation networks and uses M12 aviation connectors to ensure sturdy and reliable camera connections. It provides simultaneous VGA and TV video outputs, as well as seven alarm inputs, two relay outputs, and two-channel audio in/out connections. The DHI-MCVR6208-G supports real-time vehicle location tracking and monitoring, and can upload GPS information with recorded video to the network. Versatile and adaptable, it supports connection to various separately available accessories including card readers, fuel sensors, and emergency buttons. The recorder is certified EN 50155 and conforms to ISO16750 for mobile use. It suited for use on city buses, school buses, taxis, police cars, trains, and trucks. 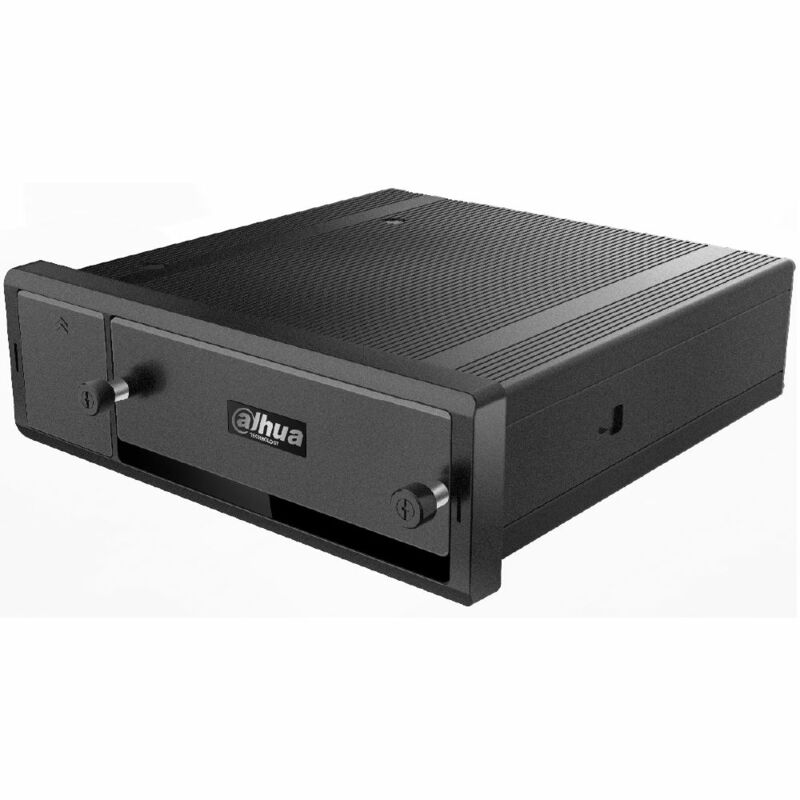 Built from shock-absorbing material, the hard disk enclosure is designed to withstand vibration, allowing for normal operation in extreme mobile applications. Supporting voltages from 6 to 36 VDC, the DHI-MCVR6208-G is designed to handle the voltage output of vehicle batteries. Its wide-range voltage support protects the recorder from fluctuating power output from the vehicle battery during operation. Built into the DHI-MCVR6208-G is a GPS module that receives location information and uploads the vehicle's position to a VMS. The VMS can plot the position on a map so the position and the path of vehicle can be monitored. The DHI-MCVR6208-G provides CAN, RS-232, RS-485, and I/O ports for connection to separately available accessories such as card readers, fuel sensors, and emergency buttons. Information collected via these interfaces can be uploaded to VMS along with video, audio, alarm, and location information.